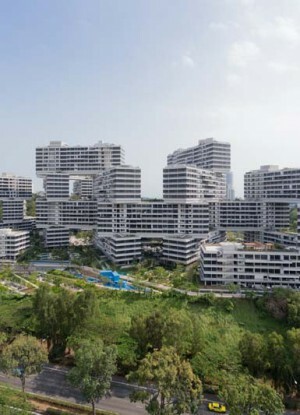 The Interlace is a apartment complex consisting of 31 apartment blocks stacked in hexagonal arrangements around eight large-scale, permeable courtyards. The stacking of the volumes creates a topographical phenomenon more reminiscent of a landscape than of a typical building. 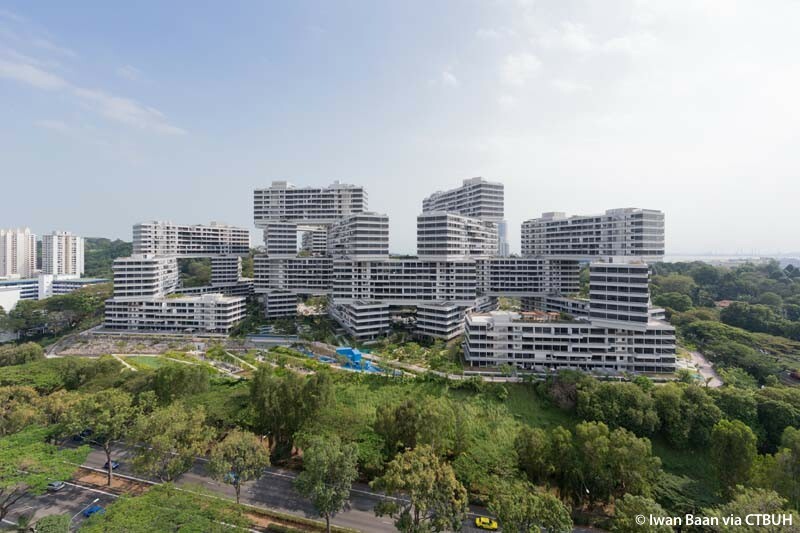 An extensive network of communal gardens and spaces is interwoven with amenities, providing multiple opportunities for social interaction, leisure and recreation – both on the roofs of, and in between, these stacked horizontal blocks. 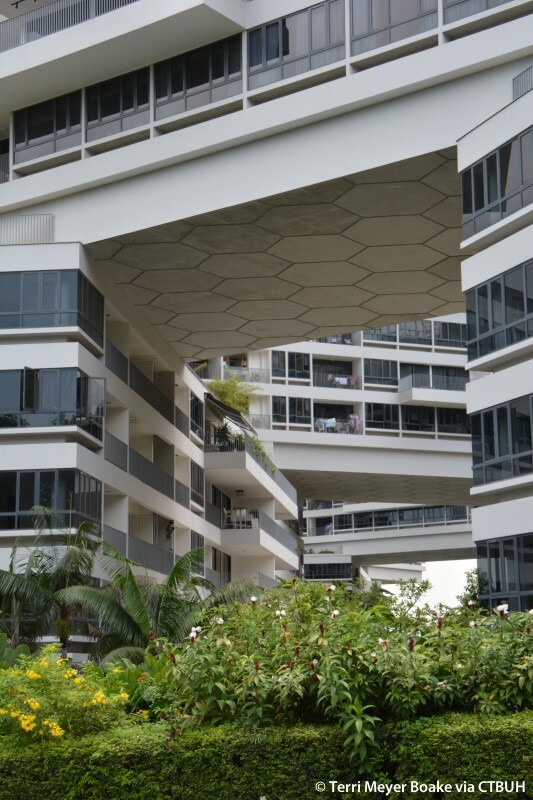 Instead of following the default typology of housing in Singapore – clusters of isolated, vertical towers – the design generates an intricate network of living and social spaces integrated with the natural environment. The blocks are arranged on four main “Superlevels” with three “peaks." The unusual geometry of the hexagonally stacked building blocks creates a dramatic spatial structure. 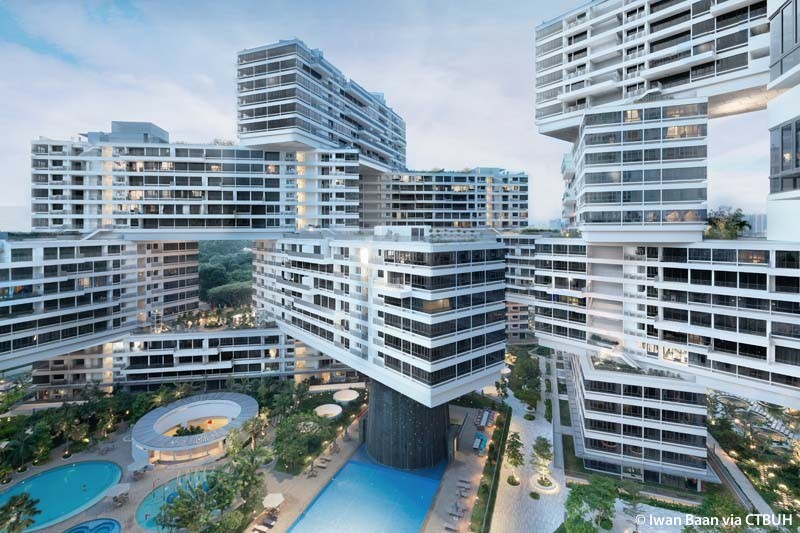 Partly resting, partly floating, the blocks hover on top of each other to form open, permeable courtyards that interconnect with one another and the surrounding landscape and city. An expressive, interlaced space emerges that connects the multiple parts of the development into an open, inclusive community. Multi-story openings allow light and air to weave into the architecture and through the landscape of the eight courtyards at the heart of the project. The primary pedestrian route through the project leads residents from the main entrance to the courtyards as primary points of orientation and identification – one lives in a courtyard, or a space, as opposed to a “building” or an “object.” Pedestrian circulation is grouped and bundled according to the density of residents around each courtyard, by way of a central connector. A system of secondary footpaths brings residents on the most direct route from the connector to the front doors of their homes. 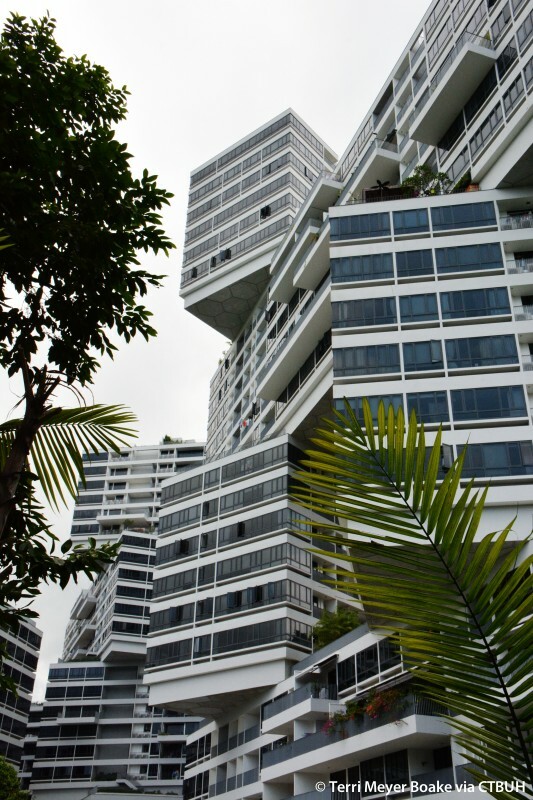 A system of three core types, of 6, 18, and 24 stories, respectively is located at the overlap of the stacked apartment blocks. Cores typically serve three to four units per floor, which provides efficient circulation without long corridors. Core lobbies are naturally lit and ventilated, bringing daylight and fresh air into common areas. Circular “mega-columns” arranged around the vertical circulation in an optimized hexagonal configuration enable the three-way rotation of the blocks and provide a standard solution for all conditions. 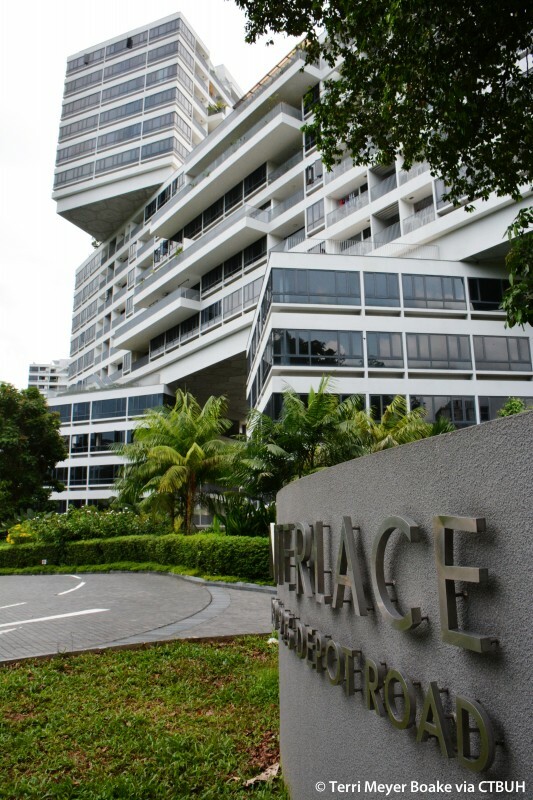 The highly efficient system of compact cores, minimal circulation, and maximized floor area allowed the project to be realized on a budget for affordable housing, within the competitive context of Singapore's market. A series of site-specific environmental studies – on wind, solar and daylight conditions – were carried out and evaluated to determine intelligent strategies for the building envelope and landscape design. 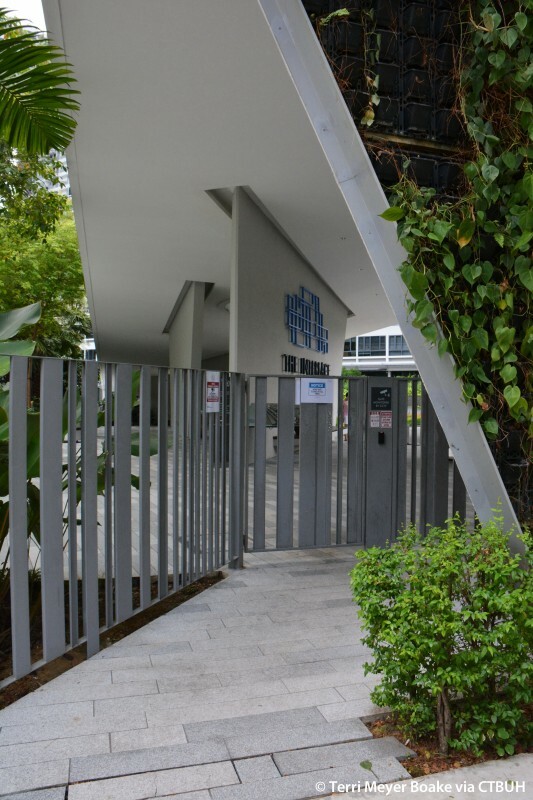 Early and comprehensive incorporation of low-impact passive energy strategies has won the project Singapore's Green Mark Gold Plus Award. All apartments receive ample levels of daylight throughout the day, while the unique massing of the project provides a sufficient level of self-shading in the courtyards, which helps maintain comfortable outdoor spaces year-round for communal use. Water bodies have been strategically placed within defined wind corridors. This allows evaporative cooling to happen along wind paths, reducing local air temperatures and improving the thermal comfort of outdoor recreation spaces in strategic micro-climate zones. 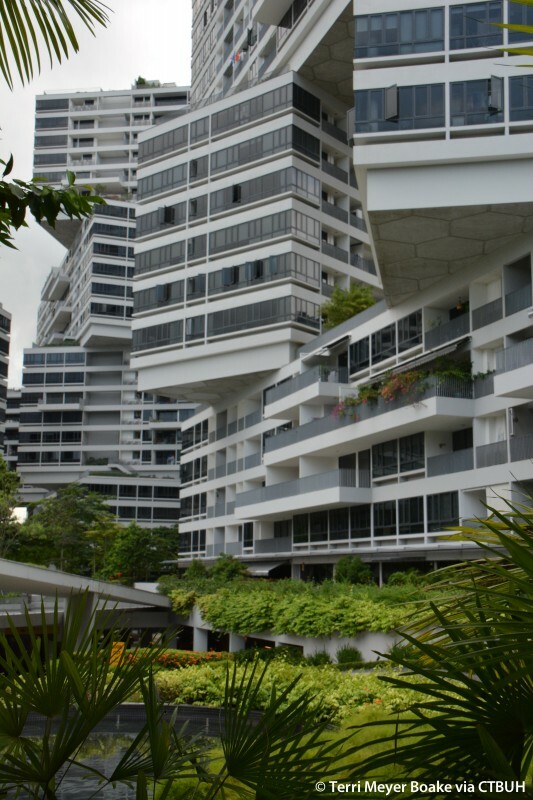 Extensive balconies and protruding terraces form a cascading vertical landscape across the facades and further connect the green roofs and shared public terraces between the building volumes. 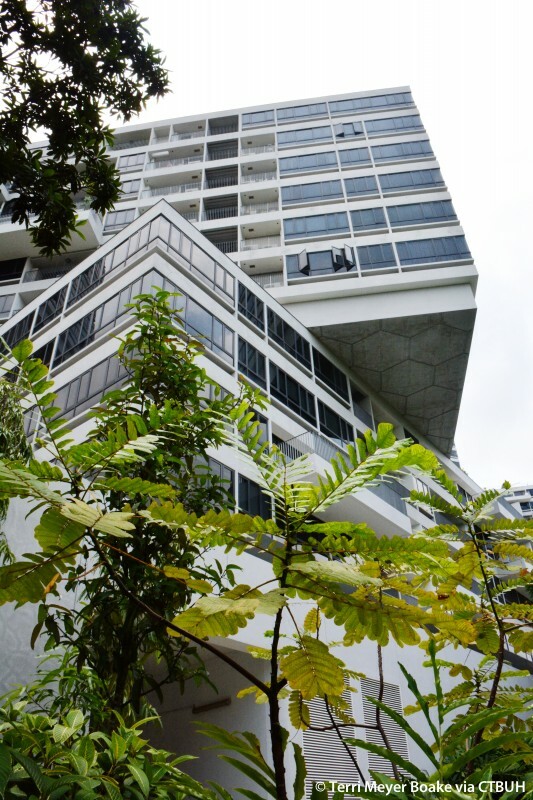 Overall, the project appears not only surrounded by the tropical vegetation, but embedded within it. 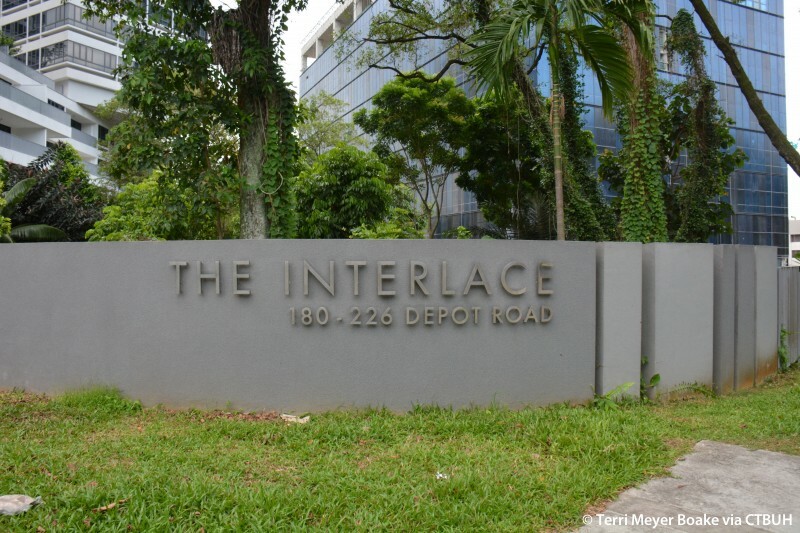 All traffic and parking is accommodated in a single layer below the landscaped ground level. 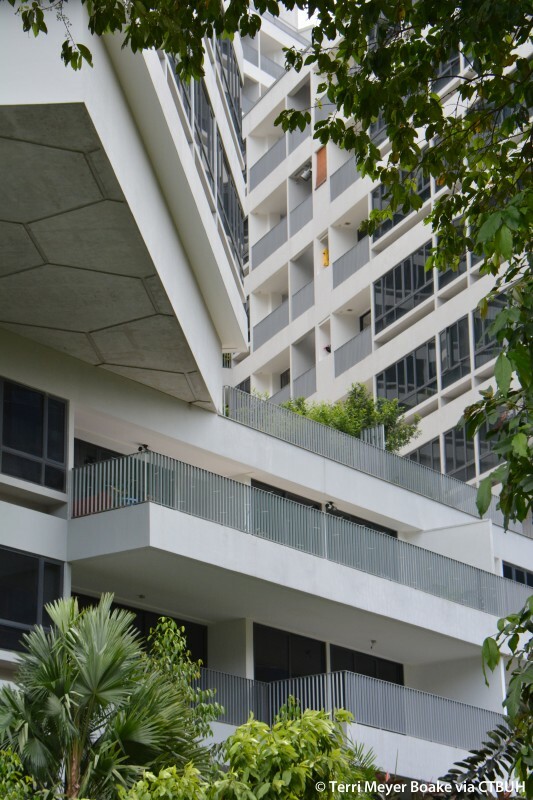 A large number of open-air voids allow light and air to reach the semi-sunken parking deck, creating areas of lush vegetation and trees below ground and connecting these spaces visually and through planting to the courtyards above. The landscape design capitalizes on the generous size of the eight-hectare site and further maximizes the green area and presence of nature. By stacking the apartment blocks, the design has generated additional horizontal surfaces, and thus the opportunity for extensive roof gardens and numerous landscaped public terraces, which, in aggregate, provide even more overall green area than the size of the unbuilt site. 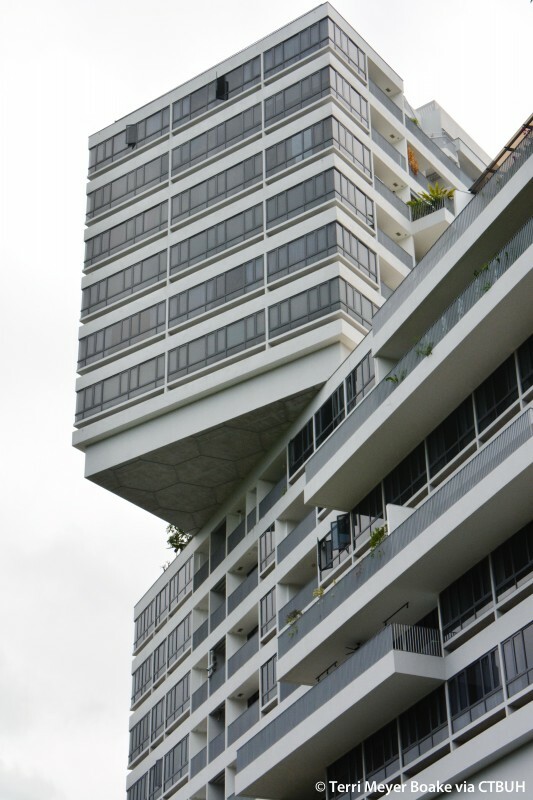 During the construction of this building, its designer and partner-in-charge at Office for Metropolitan Architecture (OMA), Ole Scheeren, left and founded his own firm, Buro Ole Scheeren. 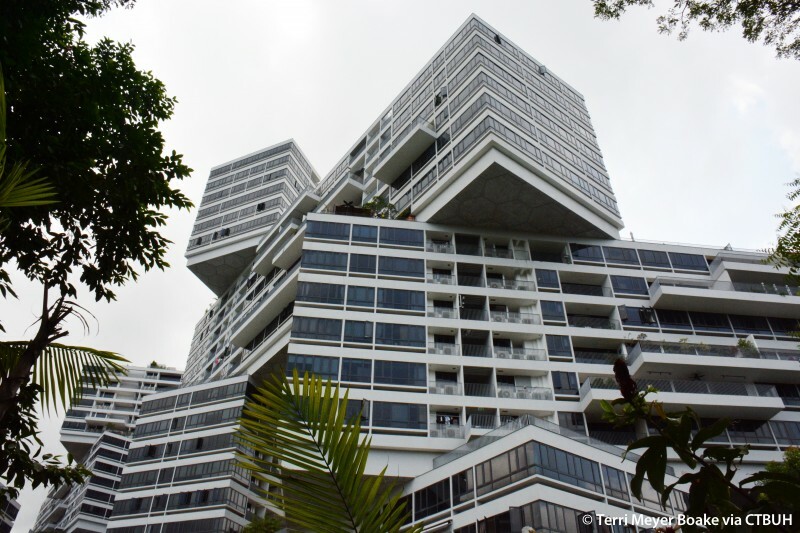 OMA and Ole Scheeren share the design credit for this project.